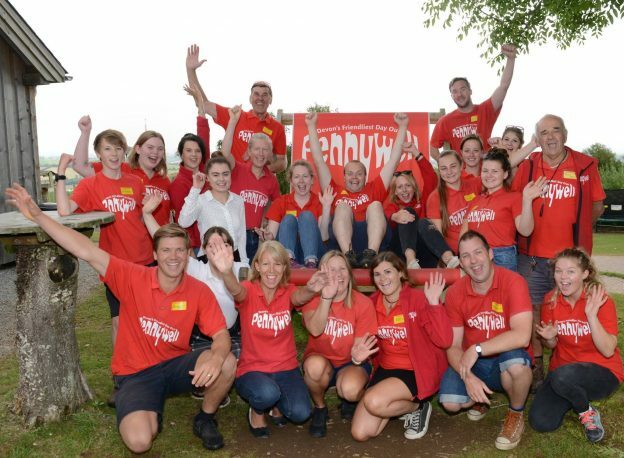 12 Months at Pennywell – The Best Bits! 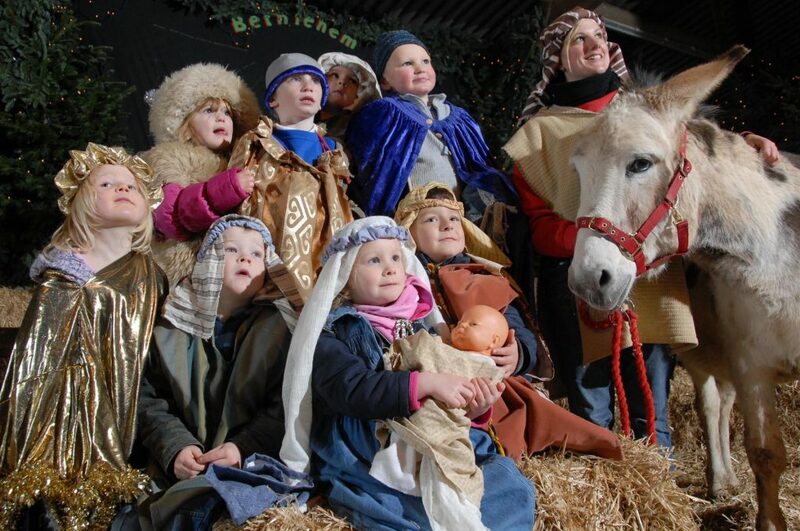 The year has certainly flown by and at Pennywell Farm there is never a dull moment! We thought we’d have a look at some of the highlights from the last 12 months. Plenty of action on the farm during the closed season though with the stock and maintenance team at full stretch! 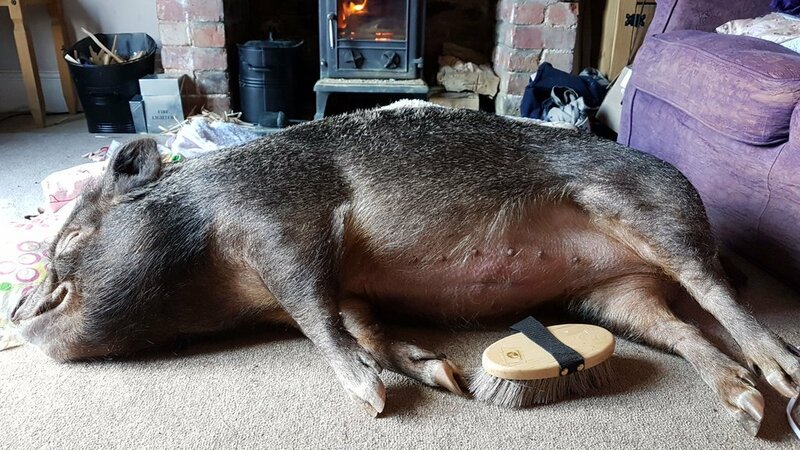 We still have plenty of contact from our visitors in January and particularly loved seeing this picture of Smokey, the Pennywell pig. His owner certainly takes good care of him and we think he’s the luckiest pig in Devon. After a whole month of R&R, all the Pennywell team return to work raring to go. We launched the new 2018 season with our VIP return tickets for the whole of February Half Term. 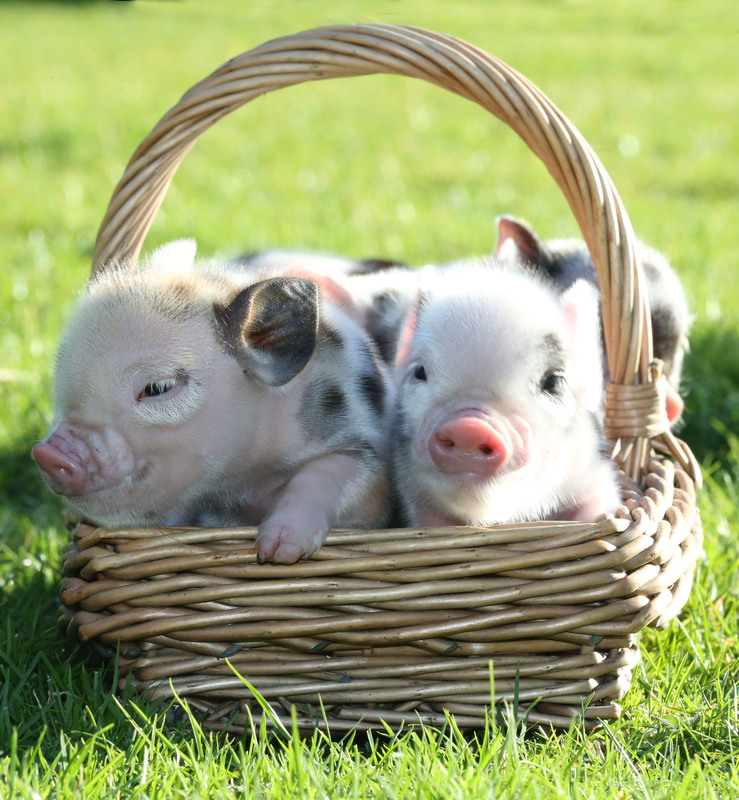 We also had the pleasure of the our first litter of Pennywell miniature piglets for 2018. For the first time in Pennywell’s 30 year history, the farm had to close due to snow. We were closed for a total of 5 days while Devon shivered. It did make for some beautiful scenery though and we worked hard to keep the animals warm. 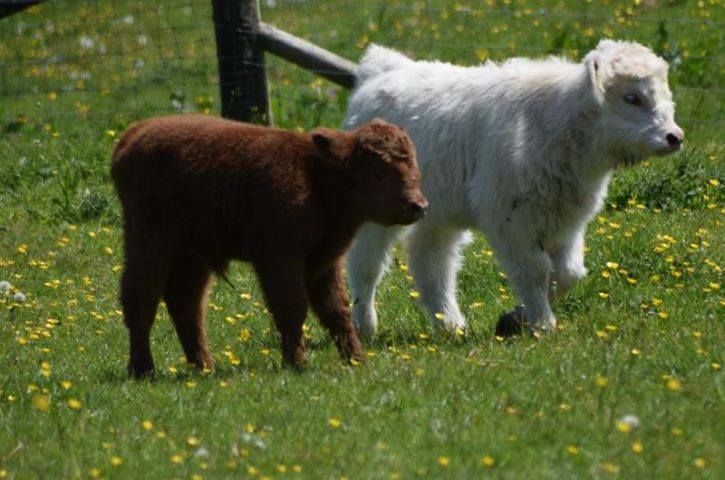 Our gorgeous Highland cattle arrived. Two mums with their two calves who spent the spring and summer watching the visitors drive by their field in the tractor and trailer. Davina and Daisy enjoying their new home. The Chelsea FC Foundation launched their monthly training sessions at Pennywell which all sold out straight away and were a stepping stone into the Chelsea FC Academy for four talented youngsters. 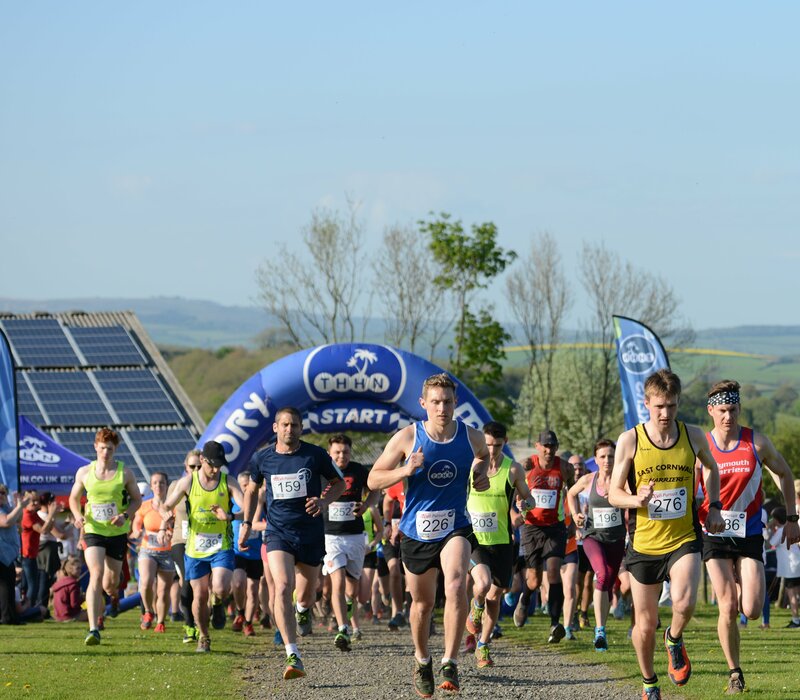 The Pennywell Pursuit 10k and fun run returned on one of the hottest days of the year. It was a stunning evening which raised thousands of pounds for local charities. Our first ever Unicorn Week was a huge success and we enjoyed a dry, sunny May Half Term for the first time in years. Dainty and Mr Sparkles made the headlines. Their touching story proved to be popular across the pond, resulting in this cute video. Not so cute as far as some people were concerned, we celebrated National Insect Week with plenty of creepy, crawly activities. Our annual sheepdog trials saw more than 40 dogs and handlers put through their paces on a glorious summer day. July was also the month that English hearts broke as their team went out of the World Cup but at Pennywell we had great fun in the build up. Lardy and Rasherford were here representing England every afternoon. The lovely long, dry summer continued and with the summer holidays came two new activities. 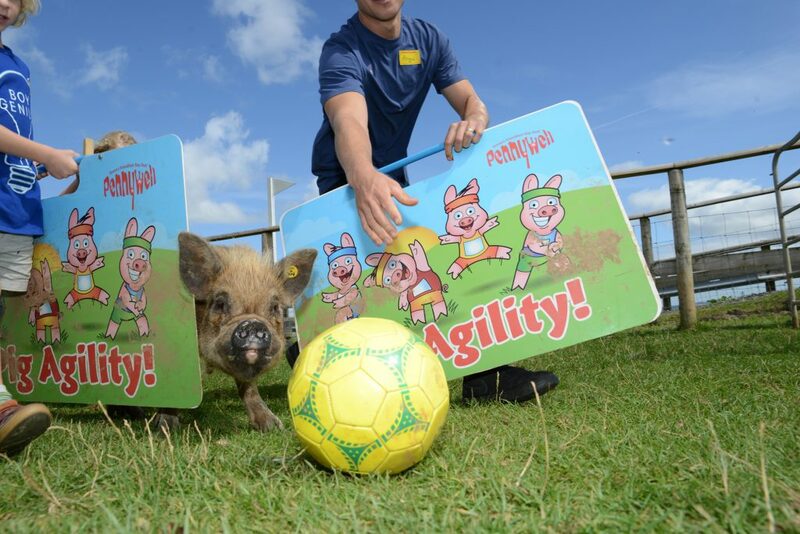 Pig Agility and Goat walking. There was some serious goat training going on as plans were put in place for a special October event. We were also treated to an autumn visit from PAW Patrols Skye. 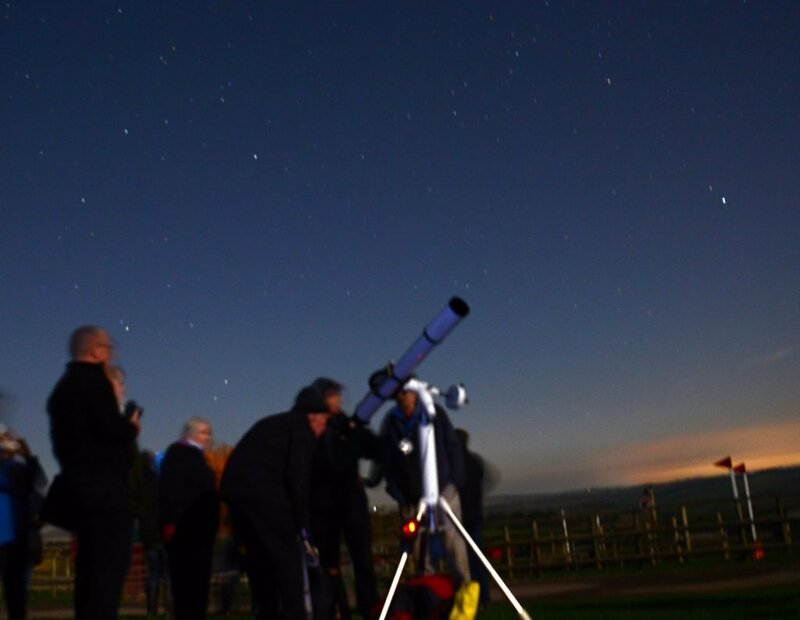 There was a very balmy, clear night for Pennywell’s first ever Dark Skies event. Dinner, star-gazing and a night time tractor and trailer ride were enjoyed by all. October also witnessed the worlds greatest goat show at Pennywell with ‘Gruffts 2018’ sponsored by Goat Compare! A fabulous opportunity for us to ditch the pumpkins and do something different. Winners! The team picked up three awards at the South Devon Tourism and Hospitality Awards. The coveted Best Visitor Attraction Gold Award plus silver in Social Responsibility and Excellence in Customer Service. What a night! 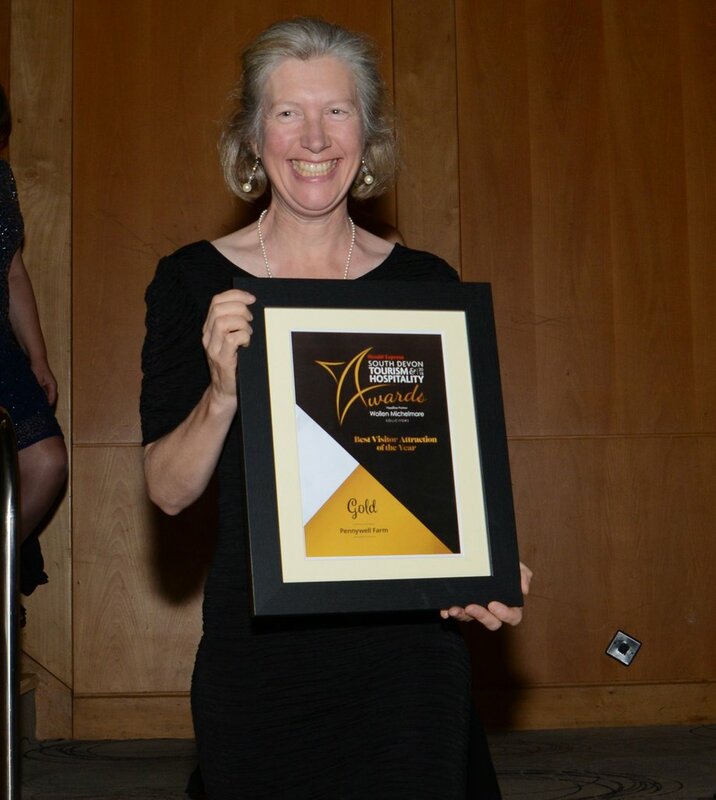 Pennywell’s Nicky Murray collecting the award for Best Visitor Attraction. A new home for Father Christmas, a Candy Cane Train and some new lights and decorations have helped to make this years Christmas event bigger and better than ever! We’ve had so much fun this year we might come back and do it all again in January, especially as Pennywell celebrates its 30th birthday. Merry Christmas and Happy New Year to all our Pennywell Farmers, from all the Pennywell team.